What a difference a few years makes! 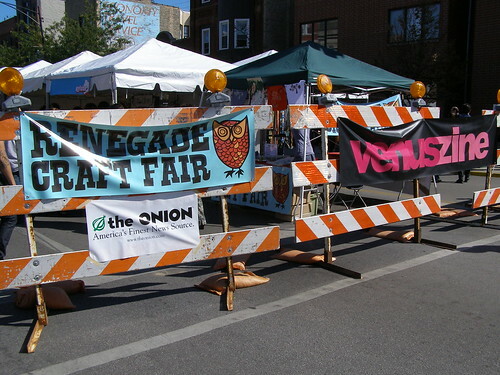 I was totally impressed with the HUGENESS of this year’s Renegade Craft Fair in Chicago. At times I didn’t even know if I could make it to see all the great stuff! We had some great weather in Chicago on Sunday. The fair sprawled along Division, so there was a variety to look at not only from the vendors, but from the boutiques, too, such as this new one. Can you guess what it is?! Of all my favorite things at this year’s fair, I think the Postcard Machine got my top honors. 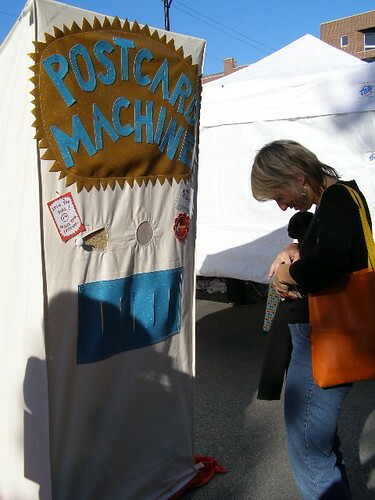 For just $2, you received a handmade postcard from this hysterical machine. I can’t imagine what that must have been like for the volunteer that sat inside the tent all day talking like a robot and making change! 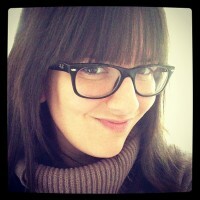 It was wonderful seeing some of our crafty friends we’ve met from the DUCFs, Craft Congress, blogs, and shops we love. 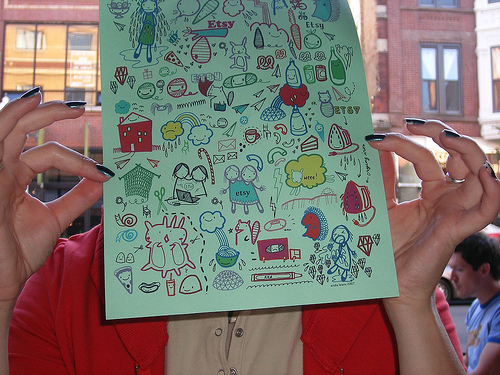 To see more photos, check out this Chicago Renegade Flickr set. 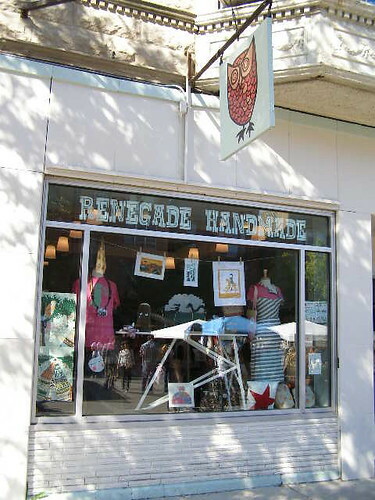 Did you go to Renegade? If so, let us know what you thought.